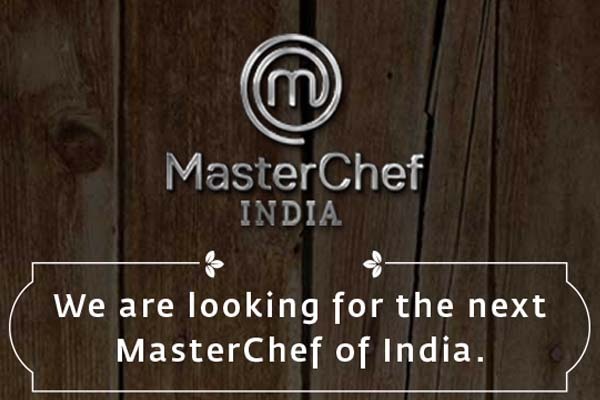 MasterChef India Audition Date & Venue Details: MasterChef India is taking auditions for its season 5 in 3 major cities of India Delhi, Mumbai ad Kolkata the audition will starts from 5th June 2016 and here I am going to share detail information about MasterChef India audition such as audition date, venue, time, day and term & conditions for the show. Before I do proceed with the audition details just would like to inform you that if you are unable to visit the Kolkata, Delhi, Mumbai auditions don’t need not to worry you can still be a part of the show for this simply you have to call on the number which is given in the post or visit the official website of MasterChef India. If you are from following cities Jamshedpur, Patna, Guwahati, Hyderabad, Chennai, Bengaluru, Goa, Kolhapur, Pune, Ranchi and Bhubaneshwar please call on this number (022) 2606 5301. If you are from Jaipur, Udaipur, Vadodara, Raipur, Indore, Bhopal, Ahmedabad, Jammu, Amritsar, Chandigarh, Gwalior and Lucknow can make call on this number: (022) 4613 4100 otherwise visit the audition venue on below mentioned date and time. Audition Venue / Address: Swabhumi – The Heritage Plaza,Eastern Metropolitan Bypass,89C Moulana Abdul Kalam Azad Sarani,Kolkata 700054. Audition Venue / Address: IES New English School, Government Servants Colony, Near Kherwadi Police Station, Bandra East, Mumbai 400051. Before you visit the audition venue please carry your valid photo ID proof with you. If you have any query or feedback please post it in below comment box and must read below mentioned terms and conditions before visiting the audition venue. The following terms and conditions (“Terms and Conditions”) govern the entire process for Auditions/Contest ( as defined below) as detailed herein for participation in the reality program tentatively titled “MASTERCHEF INDIA SEASON 5 ” (“Program”) and shall be binding on each participant (“Participant”, “Contestant”, “Your” and/or “You”) residing and a citizen of any territory/country worldwide (hereinafter collectively referred to as “Territory”) who voluntarily desire to participate in the Auditions hosted by Star India Private Limited (“STAR/Company”) for the purpose of selection and participation of Participants in the Program to be aired on, inter alia, on the Company’s and /or its network of channels and /or any other channel as deemed fit by STAR ( hereinafter collectively referred to as “Channel”) to be aired on, inter alia, on the Company’s and /or its network of channels and /or any other channel as deemed fit by STAR ( hereinafter collectively referred to as “Channel”). “Audition(s)” means different levels of selection process which the Contestant(s) need to clear for participating in the Program. “Audition Centre” means and is limited to locations in the cities where, at the discretion of the Company, the Contestants need to come for the level 1 and 2 of the audition process: Delhi, Kolkatta and Mumbai and (ii)means and is limited to locations in Mumbai where, at the discretion of the Company, the Contestants need to come for the level 3 and 4 of the audition process. “Company” means STAR India Private Limited, the owner and right holder of the Program. “Contestant/Participant (s)”: Means any natural person(s) who is eighteen (18) years and above as of January 1,2016 being a citizen and /or resident of any of the jurisdiction of the Territory as per the respective applicable laws and enters the Auditions /Program in accordance with the terms detailed below. “Exploitation/Exploit ” shall mean the exploitation of the Intellectual Property and the Materials including along with its cognate forms and grammatical variations, means and includes the exploitation, use, alteration, broadcast, rebroadcast, communication, encryption, transmission, translation adaptation, publication, cutting, editing, and packaging of the Intellectual Property vested in the Materials, either in whole or in part, in any form/format or language, as may be decided by Company in its sole discretion and shall include incorporation of the Materials including performances in the Program or any audio visual recording or sound recording or as may be decided by Company in its sole discretion as well as the conversion of the Materials from one form/format to another and in relation to the Materials, making of a Cinematograph Film or Sound Recording, Communication to the Public, Broadcast, Performance in Public, adaptation, reprography, reproduction, distribution, sale, commercial rental, assignment, licensing, merchandising rights, remakes, sequels, prequels, versions, translations, dubbing and/or subtitling in any all languages/dialects in the world, converting the Materials for theatrical exploitation, including but not limited to the broadcasting thereof by any form of radio, internet and any and all form of television including but not limited to terrestrial, satellite, direct to home, cable, IPTV, any form of video on demand (including but not limited to Pay-per-View, NVOD, SVOD, PVOD, FVOD made available for being seen or heard or delivered or exploited through wire or wireless including but not limited to internet, websites including but not limited to social networking websites, blogs, internet or mobile streaming or download services (whether free, pay or subscription based) computing and networking devices, mobile /telecommunication system based platforms, mobile TV, theatrical or non-theatrical or any other means whether now known or existing or in commercial use or hereinafter invented or developed in the future in and to the Intellectual Property and all elements thereof. The capitalized terms ‘Broadcast’, ‘Communication to the Public’, ‘Cinematograph Film’, ‘Performance /Perform in Public’, ‘Sound Recording’, ‘Visual Recording’ shall have the same meanings as defined in the Indian Copyright Act, 1957 as amended from time to time and all analogous rights subsisting under the laws of each and every jurisdiction throughout the world. “Intellectual Property” means and includes all performances, performers’ rights, publicity rights, brands, rights if any vested in the Contestant(s) relating to or in the Footage owned by the Company, concepts, confidential information, copyrights, databases, designs, formulae, franchises, goodwill, know-how, licences, ‘look and feel’, music (including songs, sheet music, lyrics and remixes), permits, proprietary information and knowledge, scripts (and their sound recordings), segments, set designs, service marks, technology, titles, trademarks, trade names, trade secrets, format rights, and all other allied, ancillary and subsidiary rights in any and all media whether now known or subsequently invented, as well as all other intellectual property as is commonly understood and recognized as such by applicable law, (past, current or future) industry usage, or otherwise. “Program” means the Show(s) (defined below) which shall be tentatively titled “Masterchef India Season 5” . “Production House” shall mean Endemol Shine India, the producers of the Program engaged by the Company for organizing the Auditions and producing the Program in the manner as decided by the Company at its sole discretion . “Show(s)” means each episode(s) of the Program including any Special Show(s). “Show Player(s)” means the selected Contestant(s), shortlisted at Level 4 who are selected through the process of the Audition to participate in the Program. “Special Show(s)” means any episode/s of the Show recorded with Contestant(s) who belong to a category other than that specified hereunder, which may include celebrities or special children, or any other category which may be decided upon by the Company in its sole discretion. Such episodes may have additional rules (as amendments/attachments) to which the Contestants will have to comply with along with all the other rules of the Contest. “Studio” means any location deemed fit by the Company for filming of the Program. “ Materials” shall mean an include Footage (defined below) and footage of Promotional Material including any form of artistic works, works of authorship , services made by the Contestant(s) or compilation, data which is developed, created, discovered, invented or otherwise brought into existence by the Contestants during the course of Program/Show or the Auditions. The Contest will commence from 5th June 2016 and shall conclude on 31st July 2016 (“Period”)(both dates inclusive). (a) The Company shall promote the registration through on-air (promos, astons, bugs etc. ), radio, online and any other manner as the Company may deem fit, at its sole discretion, stating the mechanism in which the Contestant(s) can participate in the Program. Logging on to the face book page of the Program. To register and to participate in the Contest, the interested Contestant(s) shall be present at the Audition Centre on the dates as intimated to them in the mode and manner as set out in clause 2 hereinabove (a) shall through themselves fill and execute a registration form at the Audition Centre and duly submit all personal information as may be required to be submitted by them on the registration form in a manner and form, as requested and /or prescribed therein,(“Registration Form”), (c) submit all documentation as intimated to him/her in advance through the Website. In case the said Contestant(s) are unable to furnish the original document(s) or to verify the eligibility details and also submit self-affirmed photocopy of the same, the said Contestant(s) shall be disqualified by the Company. For the purposes of this Contest, the copy of these Terms and Conditions, signature/self-attestation of the required documentation by the Contestants and the Registration Form duly submitted by the Contestant(s) at the Audition Centre shall be considered a complete entry (“Entry”). Contestant(s) represent and undertake that all Personal Information, documentation, contents of the Registration Form provided by them at the time of registration at the Audition Centre is true, correct, accurate and original. Any incomplete Entry and /or Entries with incorrect format, additional and/or inadequate information will be considered invalid and will be disqualified from participating in the Contest. The Channel /Company shall be free at any point of time to contact and /or communicate with the Contestant(s) for availing any additional information and/or to verify any details as provided in relation to Contest and/or the Entry and the Contestant(s) shall unconditionally facilitate the same. All Entries at the Contest at the respective Audition Centre(s) shall be on first come first serve basis and the Company shall endeavour to keep the registration for the Audition process open between 8.00 am to 1.00 pm. It is further clarified that the Company reserves the right to close the registration process at any of the Audition Centre, in any manner it may deem fit at its sole discretion. The decision of the Company in such situations shall be considered final and binding and the Contestant(s)/ shall not either through himself or any person on his behalf challenge /dispute such decisions to the extent permitted by law. Any Entry made after the Period will not be considered for the Contest and shall be deemed null and void and such decision shall be final and binding upon the Contestant(s). The Company shall not be responsible for any Entries submitted but not received due to any reason whatsoever. The Contestant(s) will be asked to get a pre-cooked dish (edible item, vegetarian and /or non vegetarian) prepared by him/her. For the purposes of the Contest/Auditions, it is further clarified that such dish shall be required to be prepared and brought by the Contestant as part of the Auditions, shall be prepared and cooked by him /her alone without any help and/or influence of any other person. This pre-cooked dish prepared by the Contestant (s) will be evaluated by the Company and /or its representatives or any food/culinary expert (“Panel”) appointed and finalized by the Company and /or the Channel at its sole discretion. It is further clarified that, the pre-cooked dish prepared by the Contestant shall be judged for originality, flavour and presentation, general culinary /food knowledge, knowledge on cooking technique , culinary skill or any other criteria as set out by the Panel and/or the Company and/or the Channel at its sole discretion. It is further clarified that the decision of the Company with regard to the composition of the Panel shall not be final and binding on the Contestant (s) .Neither the Contestant nor any person on their behalf shall be entitled to dispute and/or challenge the composition of the Panel at any time. iii. The Panel shall have the sole authority to judge the performance of all the Contestants and their decision shall be final and binding on all Contestants (s). No Contestant (s) shall dispute any decisions made by the Panel in connection to the selection procedure. Based on the evaluations of the various pre –cooked dishes by the Panel prepared by the Contestants and /or the culinary knowledge and skills of the Contestant ( as the case may be ), the top rated Contestant(s) shall be shortlisted at the discretion of the Company and /or the Panel for the next level. The Company reserves the right to select a maximum number of Contestant(s) from the main Audition Centers from all the cities. The selected Contestants shall be eligible for the next level of Auditions. Such selected Contestant(s) shall be required to be present at any of the Audition Centres at Kolkatta, Delhi or Mumbai, according to their choice and for the next level of Auditions on the day and time specified by the Company. It is further clarified that all costs and expenses towards travel and stay of the Contestant(s) towards participating in this level shall be borne by the Contestant(s) without any recourse to the Company. (i). In case a Contestant gets shortlisted at Level 1, he/she will be required to be present for Level 2 at the main Audition Centre which will be in Mumbai,Delhi and Kolkata on specific dates and venues as decided by the Company at its discretion and agree to travel, stay, etc. entirely at his/her own expense. The shortlisted Contestants can choose the city they want to come to for Level 2 of the auditions, provided that the Company reserves the right to declare a maximum number of Contestants which can enter Level 2 in a particular city. Such Contestant(s) shall be asked to cook an edible dish , as required by the Channel or Company and /or Jury (as defined below) at their discretion and be further interviewed by the Company and/ or any other person(s) appointed by the Company. (ii) The Contestant(s) shall do cooking and /or any and all acts and execute any and all documents in such manner and at such location as may be required by the Company in its sole and absolute discretion. (iii) Such shortlisted Contestant(s) shall be asked to cook a culinary food dish or perform any cooking or culinary related task before a panel comprising of 1 (one) or more reputed food chef or food expert and 1 (one) or more) representative from the Company /Production House, as the Company may deem fit at its discretion (hereinafter referred to as “Jury” together). These dishes prepared by the Contestants shall be evaluated by the Jury and the top rated food dishes and /or performances shall be short listed for the next level at the sole discretion of the Jury on the basis of the scores awarded by them. (iv) The Company reserves the right to select any number of Contestant(s) from the main Audition Centers from all the cities. The selected Contestants shall be eligible for the next level of selection. The Contestants shall be informed about their selection for the next round,i.e. the televised auditions by the Company and /or its representatives . (v) Such selected Contestant(s) shall be required to be present in or around Mumbai for the next level of selection on the day and time specified by the Company. (i) The Contestant(s) selected and shortlisted from Level 2 shall be required to reach the venue in Mumbai for the next level of selection on such date and time as informed by the Company. The cost of travel and lodging of the Contestant(s) shall be borne by the Company. If the Contestant(s) fails to attend the Mumbai Audition at the venue on the date and time as informed by the Company for any reason whatsoever, the entry of the Contestant(s) will be invalid and the disqualifying Contestant(s) shall be disqualified. (ii) The Contestant(s) will be required to register by executing the necessary documents and also by furnishing the documents as required to verify the personal details provided by the Contestant(s) in Level 1 and 2. Each of the selected Contestant(s) shall be required to furnish the necessary documentation (as stated in the General Rules below) in original to confirm the eligibility details, etc. provided by the said Contestant(s). In case the said Contestant(s) is unable to furnish the original document(s) to verify the eligibility details and also submit self-affirmed photocopy of the same, the said Contestant(s) shall be disqualified by the Company. (iii) The Company reserves the right to introduce fresh Contestant(s) from outside or within India in the Level 3 without any objection from the Contestants. (v) The Contestant(s) shall be evaluated by an esteemed panel of judges who shall be judging the Program and /or forming part of the Program (“Judges”) engaged by the Company and /or the Jury , as may be decided by the Channel and /or the Company at its sole discretion. (vi) Contestant(s) will be required to prepare and cook by themselves, without any outside help/assistance from start to finish unique and specialized dishes as per the discretion/instructions of the Company and/or Judges and /or the Jury, . These dishes shall be evaluated by the Judges and /or the Jury , as may be decided by the Channel and /or the Company at its sole discretion and they shall score each of the Contestant(s) on the basis of originality, flavour, technique, presentation, in-depth knowledge of food etc. (vii) A minimum of may change from 30 on the basis of the ratings/scores awarded by the Judges shall be shortlisted by the Company at its sole discretion for the next level of Auditions, i.e. Cook Offs which will be televised . It is clarified that the Company can at its discretion select any number of Contestant(s) for Cook Offs . (viii) Such shortlisted Contestants shall be informed about their selection for the next level,i.e. 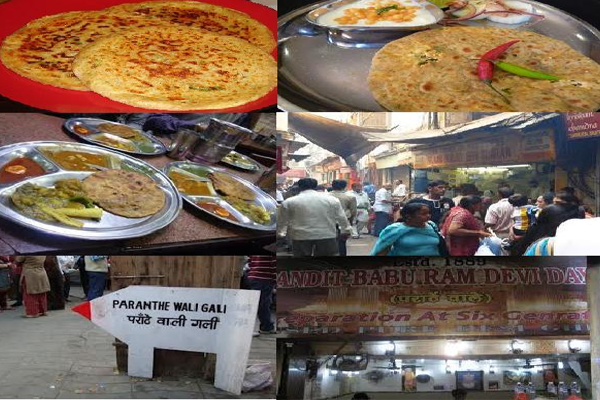 the Cook Off by the Company and /or its representatives and they shall be required to be present in or around Mumbai for the next level of selection on the day and time specified by the Company and/or Channel and/or Production House. The selected Contestant(s) shall be telephoned on the telephone number provided and shall be informed the date, venue and approximate time to participate in the Cook Off held at any place in India at the discretion of the Company. In the event the registered telephone/mobile number is coming engaged, or lines on the route are busy, or it is ringing but is not answered, the Company shall make maximum two (2) attempts to establish contact. If successful contact is made the telephone conversation will be recorded and Contestants will be informed of the details given below. However, if successful contact cannot be established with the concerned Contestant, the Company shall be not be obligated to take any additional measures to contact such Contestant and such Contestant shall be considered to have been disqualified from further participation in the Program.In the event of the above contingency the Company and/or the Production House and/or the Channel may automatically transfer an opportunity to participate in the Cook Off level to the next Contestant(s) based on the sole discretion of Company and/or the Judges and/or the Production House, without any objection from the other Contestant(s). For the avoidance of doubt such choice of Contestant(s) by the Company and/or the Judges and/or the Production House shall be final and binding on the Contestant(s). (i) Be informed about the nature, duration and any other details with regard to the Cook Off and the Program and asked to re-confirm that they will comply with the rules (and be advised of where to obtain copies if required) and, reconfirm whether the Contestant(s) will be available for the Cook Off and the Program date (and that they agree to participate in the Program). In case for whatever reason the agreed Program date was not correctly heard by the Contestant(s) and the Contestant cannot attend the Program, on the date and time in question, the Company will regretfully be unable to offer an alternative Program and date. (ii) The Contestant(s) will have to perform and pass through a series of tasks to qualify for the next level in relation to their cooking skills, including any and all technical tasks related to cooking in addition to the cooking and preparation of an original dish. Any and all dishes that are required to be prepared by the Contestant as part of the Cook Off shall be so prepared without the help or assistance of any other person. (iii) The Company shall make arrangements, for the travel of the outstation Contestant(s) and accommodation and meals (three meals in a day) of the Contestant(s) during the period of the Cook Off. The Company shall make the arrangements mentioned above as deemed fit by the Company. (iv) The Company shall select Show Player(s) from amongst the Contestant(s) selected for the Cook Off. The selected Show Player(s) shall have to ensure that they will make themselves available for all shoot dates and travel to any place for the shoot of the Program, as may be informed by the Company. (v) The selected Show Players will need to reside in any place in India decided by the Company at its sole discretion, during the shoot schedule of the Program. (vi) All the Contestant(s) including the ones who do not get selected for the next level, will have to make themselves available for an additional 4 days shoot after the Cook Offschedule at any place in India decided by the Company at its sole discretion. (III) Upon successful contact and agreement with the Show Player(s) in relation to the arrangements for such Contestant(s) attendance at the studio, the selected Show Player(s) must attend the Studio at the time and date communicated by the Company. (III) In the event of the failure of any of the Show Player(s) from attending the Studio by the aforesaid time for any reason whatsoever the Company shall at its own discretion be entitled to exclude such Show Player(s) from the Show. The Company reserves the right to extend the timing or close the gates of the Audition Centre(s), without prior notice to the Contestant(s) and/or people who have turned up at the Audition Centre(s). It is clarified that Contestant(s) who have participated in any reality shows /programs broadcast /telecast on any satellite channel, will need to mandatorily inform the Company and/or the Channel and/or the Production House about such participation prior to participating in this Program . The final decision whether to select such Contestant(s) for the Contest and /or the Program shall vest with the Company irrespective of the performance of the Contestant in the Audition/Show/or their selection at any level of the Audition or otherwise. The Show Player(s)shall abide by such decision of the Company and to the extent permitted in law, shall not challenge such decision of the Company at any time. For the avoidance of doubt, if a Contestant gets disqualified in the first level, then he/she can travel to any other Audition Centre and Audition on the specified date. For avoidance of doubt it is clarified that the final selection of the Show Players made by the Channel/Company /Panel /Judges shall be final and binding on all the Contestant(s) and in no event shall the Contestant(s) dispute the decision made by the Channel/Company or its employees in connection to the Program and/or any level of the Auditions . For the sake of clarity, in the event of any fault, misunderstanding or dispute concerning any part of the Program /Contest and/or the selection process to qualify for the Contest Program, the decision of the Company shall be final and binding. The Auditions and /or Contest is strictly open to Contestant(s) of the age of 18(eighteen ) years and above and requires that the Contestant (s) must be a citizen of any of the jurisdictions included in the Territory during the Period of the Contest and /or Auditions. The Contestant(s) should not have any criminal conviction. Contestant(s) must be in a physically, emotionally and mentally fit condition to participate in the Auditions/Contest/Program. In addition, the Contestant(s) must remain in India during the Period of the Program/Contest. The Contestant(s) is required to furnish necessary supporting documentation in original (i.e., birth certificate, school leaving certificate, letter from their respective school acknowledging their participating in the Program /Contest and certifying their absence for such participation or passport) and/or any other documentary proof as may be required by the Company to confirm the eligibility of the Contestant(s). The Contestant(s) agree to do any and all acts and execute any and all documents in such manner and at such location as may be required by the Channel and/or Company in its sole and absolute discretion. The Company also reserves the right to change the selection process of the Contestant(s) (in any manner whatsoever as deemed fit) stated herein without any prior intimation to the Contestants and/or the public. Contestants must enter the Program and/or the Contest and/or the Auditions voluntarily on their own behalf, without any compulsion and/or duress and Entry(ies) by proxy will not be accepted. The Contestant (s) should be aware of the format of the Program and the exact nature of acts /he /she would be required to perform during the various levels of the Auditions. Employees of the Company, of the Production House , the advertising agency or any other agency or third party vendor which has been appointed from time to time, and also employees of the main sponsors and members of their immediate family;;individuals not conversant in spoken Hindi, are not eligible to participate in the Auditions and/or the Program Further, failure to provide proof or affidavit of eligibility, including the correct date of birth within a reasonable time upon request by the Company may result in disqualification. The Company also reserves the right to disqualify a Contestant(s) incase a discrepancy is found to exist in the information furnished/provided/stated by the Contestant during the conversation with the Company and in the information(s) stated in the documents furnished by the Contestant(s) is incorrect and/or insufficient. It is further clarified that any Contestant(s) who are professionally trained chefs/studying in and /or hold a hotel management degree/ diplomas/similar degrees from a catering college and /or who have undertaken cooking classes where no certificates and/or diplomas are awarded shall not be disqualified from participation. Company reserves all rights to make amendments to the existing Terms and Conditions or withdraw, change, alter, amend the mechanism of selection, participation , process of elimination, Terms and Conditions, Period and/or Program without giving prior notice to the Contestant(s) . It shall be the sole responsibility of the Contestant(s) to check the Terms and Conditions on the Website, from time to time. Company reserves the right to cancel and/or postpone the Program/Auditions and/or the Contest without assigning any reasons and/or without giving any prior intimation to the Contestant(s) . It is clarified that for all Contestants participating in the Contest and /or Auditions and who are residents and /or citizens of any Territory (save and except India) shall be solely responsible for procuring all necessary permissions and /or visa permits and /or work permits (as applicable) in accordance with the applicable laws of India for the purpose of participating in the Contest and /or Auditions, without any recourse to the Company in any manner whatsoever. For avoidance of doubt it is clarified that all costs for procuring and availing the same shall be borne solely by the respective Contestant . Further if for any reason whatsoever , a Contestant fails to procure such permissions and /or permits or visa for the purpose of participating in the Auditions and /or Contest and /or Program ,then the Company reserves the right to disqualify such Contestant at its discretion, such decision of the Company shall be final and the Contestant shall not challenge such decisions of the Company and /or make any claims against it . Company shall not be responsible and/or liable in any manner whatsoever for any network problem, breakdown of machinery, unclear network, disruption in the network and/or the cost of the SMS or internet session charged by the telecom/mobile operator etc. Any dispute in connection to the above shall be settled between the subscribers/ the Contestant(s) and the telecom/mobile operator directly, without involving Company. In case for whatever reason for level 2 and level 3 ,any Contestant is not agreeable to travel, stay, etc. in the mode or at the place /hotel/venue allotted /finalised by the Company at its discretion or bear their expenses towards travel and stay for the same then the Company will regretfully consider the entry of such Contestant(s) as invalid and the Contestant(s) shall be disqualified. In the event of any fault, misunderstanding or dispute concerning any part of the Show/Program and/or the Auditions to qualify for the Show/ Program, the decision of the Company shall be final and each Contestant shall be bound by such decision of the Company. Contestant(s) shall not in any circumstances through themselves make any claims against Company , Channel, their employees, directors and its affiliates arising out of or relating to any and all costs, injuries, losses or damages of any kind, including, without limitation due to any technical faults or directly or indirectly, to their participation or non-participation in the Contest. If the Contestant(s) is found to be ineligible, or if they have not complied with these Terms and Conditions, the corresponding Entries will be disqualified. Each Contestant(s) in consideration of being given opportunity to participate in the Contest,agree that the Contestant(s) shall hold harmless the main sponsor, if any, the Channel, Company , its affiliates, its group companies, their employees, officers, directors or any other person from and against any injury/damage/harm/loss/ death/ mental or emotional trauma suffered by the Contestant(s), in any manner whatsoever in connection with the travel to the Audition Centre and/or the Auditions and/or the Contest and/or participation in the Program and/or any Personal Information submitted by the Contestant(s) and to the extent permissible under law waives all rights to file in person/ through any family member and/or third party any applications, criminal and/or civil proceedings in any courts or forum in India to claim any damages or reliefs. Contestant(s) acknowledge that in case any portion/clause of these Terms and Conditions is deemed invalid or becomes unenforceable or prohibited by the law of the country, such portions shall be considered divisible and shall not be part of the consideration, and the remainder of these Terms and Conditions shall be valid and binding and of like effect as though such provision was not included herein. The Contestant shall ensure that he /she shall comply with the laws of India. The Contestant(s) shall make themselves available from time to time and co-operate with the Channel and/or Company and participate in any activity and/or campaign and /or events (“Promotional Activity”) of any nature whatsoever with respect to the Program/Contest without any money payable to the Contestant(s). The Contestant(s) shall further ensure that theContestant(s) shall at no point of time refuse or disagree to participate in any such Promotional Activity for any reason whatsoever. In the event of any fault, misunderstanding or dispute concerning any part of the Show and/or the selection process to qualify for the Show, the decision of the Company shall be final and each Contestant(s) shall be bound by such decision of the Company. The Contestant(s) undertake that the Contestant(s) shall not during the Audition/Program make any obscene gesture(s)/acts, or any defamatory statement of any event or any person alive or deceased, material, or anything of an advertising nature and will not expose the Company and/or the Production House to civil and/or criminal proceedings. The Contestant(s) undertake that the Contestant(s) shall not grant or publish any interviews, news articles, or issue any other kind of publicity and/or personal blog(s) concerning its participation in the Program or the Auditions herein including but not limited to the Company without Company’s prior written consent in each instance. The Contestant(s) undertake that the Contestant(s) shall not do any act either directly or indirectly which may bring the Company and/or the Program into public disrepute or denigrate any of the preceding, or offend any community or public morals and in all public appearances the Contestant(s) shall use her/his/its judgment in general demeanor and choice of language to create an atmosphere which would be conducive to the filming and/or promotion of the Audition /Program. Contestant(s) acknowledge that Contestant’s representations, warranties, indemnities, grant of rights in the Materials, dispute mechanism and obligations shall survive the efflux of time and the termination of these Terms and Conditions. If the operation of the Show (including without limitation the operation of the telephone system); the recording; broadcast of any/all of the Shows is prevented by an war, industrial action, flood or any Act of God, or applicable law or any Act of God or any act beyond the reasonable control of man (“Force Majeure”) which continues for a period of fifteen (15) days, the Company may at its sole discretion cancel all or any part of the Show and/or participation of a Contestant(s)/Show Players forthwith and such decision shall be final and binding. The Contestant(s) acknowledge that notwithstanding a Contestant’s participation in the Show there is no obligation on the part of the Company to broadcast any Show in which he/she has taken part, or any or all of his / her contribution as recorded by the Company and such decision being final and binding on the Contestant(s). The Company reserves all rights to make amendments to the existing rules without prior or subsequent notice, and the Contestant agree that the Contestant shall be bound by such revised rules. The Company shall not be responsible and/or liable in any manner whatsoever in case the Contestant(s) are unable to participate in the selection process due to failure on the part of the telecom operator, facility provider, etc. The Contestant(s) specifically agree, allows, grants and permits the Company or any party authorized by it to record (audio-video/audio or video) the participation process/performance at every level of the Auditions, including the acts at each level, any interaction of the Contestant with the Company or fellow Contestant or any representative of the Company, if any, of the Contestant(s) rendered during the Auditions/Show or the Program or any related series of sound recordings and video recordings which have been shot during the Auditions/Show or the Program on film, tape or digital or other electronic media and includes recording of any personal questions or conversations relating to the personal lives of the Contestants (“Footage”) and agree that the Footage may be used by the Company as it deems fit anywhere in the world at any time now or in the future, including but not limited for promotion of the Program. For the avoidance of doubt, all rights in the Footage vests exclusively with the Company worldwide in perpetuity and the Company is entitled to exploit the same in any manner it may deem fit. In consideration of being afforded an opportunity to participate in the Program/Audition, the Contestant agree, represent and warrant that all Intellectual Property in and to the Materials shall remain the exclusive property of Company from the moment they arise, for the entire period of their subsistence, in every part of the world. To the extent, that the Intellectual Property or any rights, title and interest in the Materials , do not vest with Company, by operation of law, the Contestant (s) on an outright basis hereby irrevocably, exclusively, perpetually and for the entire world assigns and transfers all Intellectual Property vested in the Materials including rights in any Exploitation thereof to Company. To the extent that the assignment of rights, title and interest in the Intellectual Property in and to the Materials in relation to future medium or mode of exploitation of the Materials is not held valid by operation of law, notwithstanding the assignment of such rights in favor of Company, the Contestant(s) hereby grant an irrevocable, exclusive, sub-licensable, perpetual license to Company for such future medium or mode of exploitation of the Intellectual Property in and to the Materials as may be developed in the future, for the entire world. Notwithstanding the above, the Contestant(s) on their behalf hereby agree that the Contestant(s) shall assign or in any other manner transfer rights including the Intellectual Property in and to the Materials for such means and modes of exploitation of the Materials which are not mentioned herein and are not presently known or in commercial use and therefore by operation of law are not deemed to have been assigned to Company without offering for assignment such modes or means of exploitation of the rights including Intellectual Property in and to the Materials for the entire world and perpetuity to the Company (‘Offer’). The Contestant(s) agree and acknowledge that any form of assignment or transfer of any rights, title and interest in any such future modes and mean of exploitation of the Intellectual property in and to the Materials to any third party in breach of the obligation herein, anywhere in the world shall be null and void. Further, Company may Exploit the rights including the Intellectual Property in and to the Materials at any time it chooses, and it is expressly agreed by the Parties that Section 19(4) of the Indian Copyright Act, 1957 will not apply to this Terms and Conditions. The Contestant (s) waive off their “Moral Rights” with respect to the Materials. Further, theContestant(s) further agree and acknowledge that they shall not be entitled to any share in the revenues arising from exploitation of the Materials. The Contestant(s) acknowledge that the Contestant(s)’participation in the Auditions and/or the Program does not qualify the Contestant as a ‘Performer’ within the meaning of the Indian Copyright Act, 1957. The Contestant(s) acknowledge that for the avoidance of doubt, the Contestant(s) shall not be liable to any consideration for participating in the Audition and/or the Program and/or the Show. The Contestant(s) acknowledge that the Company shall in no event, whatsoever, be responsible for any medical or other problems suffered by Contestant(s) during or in relation to the Program and/or the Auditions. The Contestant(s) acknowledge and understand that the participation in the Audition/Program is at his/her own risk. The Company shall not be responsible for the Contestant(s)’ safety during the Program and/or the Auditions and/or at the Audition Centre; neither shall they be required to obtain any insurance in relation to the same for Contestant(s). The Contestant(s) acknowledge that non-conformance by any Contestant(s) and/or the Show Player to the Terms and Conditions herein will disqualify them from participation. The Contestant(s) acknowledge on behalf of the Contestant(s)that the Company and/or the Channel is in no manner whatsoever responsible and/or shall not be held liable in any manner whatsoever, for any physical injury, death, mental and/or emotional trauma caused to the Contestant(s) and/or the Show Player(s) in any manner whatsoever, in relation to the Auditions and/or the Program. The Terms and Conditions shall be construed in accordance with the laws of India and in case of any dispute or other matter arising in reference to the Auditions and/or the Program shall be referred to a sole arbitrator appointed by Company and shall be governed by the Arbitration and Conciliation Act, 1996, amended from time to time. The venue for arbitration shall be Mumbai, in English language. All the costs, charges and expenses in connection to the Arbitration shall be solely borne by the Contestant who has raised the dispute. Subject to the provision of 35 above, the Courts having jurisdiction under the provisions of the Arbitration and Conciliation Act, 1996, to determine all matters which the Court is entitled to determine under the Act, including, without limitation, provision of interim relief’s under the provisions of Section 9 of the Arbitration and Conciliation Act, 1996, shall exclusively be the courts at Mumbai, India. The Contestant(s) undertake that they shall all times (including all levels of the Auditions) including in all their public appearances have a pleasant demeanour and choice of language to create an atmosphere which would be conducive to the Auditions and /or Program. Further they will not, directly or indirectly, in any manner denigrate or do any act denigrating/detrimental to the Company or the Program or the Channel(s) and /or indulge in any illegal activity or act of violence. The Contestant(s) shall at no time speak to any third party including the media, in relation to the Auditions and/or the Program and/or the Show or disclose any information relating to the Company and/or the Channel and/or the Production House including but not limited to the identity of the Contestant(s). The Contestant(s) shall ensure that the Contestant(s) shall at no time during the Auditions and/or the Program and/or the Show cheat from fellow Contestant(s) or third parties. Such acts shall entitle the Company to disqualify the Contestant(s) immediately, and such decision of the Company shall be final and binding on the Contestant(s). By participating in the Auditions and/or the Program, the Contestant(s)acknowledge and agree that (i) any and all disputes, claims, and causes of action arising out of or in connection with the participation in the Auditions and/or the Program shall be resolved individually, without any recourse to any form of class action; and (ii) any and all claims, judgments and awards shall be limited to actual out of pocket costs incurred and associated with participating in the Auditions and/or the Program (if any). Notwithstanding the foregoing, under no circumstances, will the Company and/or the Channel and/or the Production House be liable for any consequential, indirect, special punitive, or incidental damages or lost profits, whether direct or indirect arising in any way whether in contract, tort (including negligence) or otherwise.